Day 2: A book you've read more than 3 times. This was not that hard to answer because there is only one book I've read more than 3 times because I usually don't re-read books (even if I love them) because I feel like there are so many books I want to read and not enough time to read them. 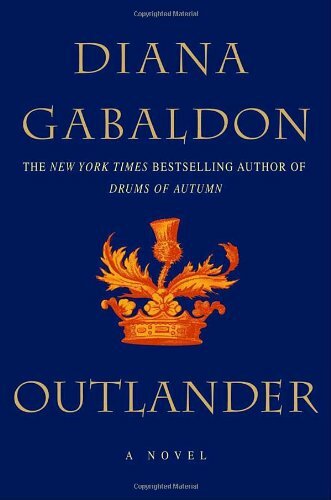 Outlander by Diana Gabaldon, please know that this is not a young adult title but an adult novel. I'm going to give you the synopsis then I am going to tell you why I've read it more than 3 times. This is the first book in an amazing historical fiction/romance series entitled Outlander. There are 7 books so far with the 8th coming out *crosses fingers* next year. For me this book is an epic love story. 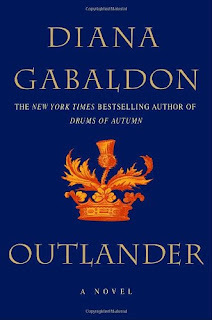 It wasn't necessarily that I connected on a personal level with the main character, Claire, but I found that I enjoy the way that Diana Gabaldon writes. She has a wonderful way of telling a story and I find myself transported every time I read this book. Jamie Fraser, the hero of the story, is a very in depth character. He is also a swoon worthy lead. There is action, adventure, danger, betrayal, love, romance, and history. Everything that is great about books are all pieced together in this book.